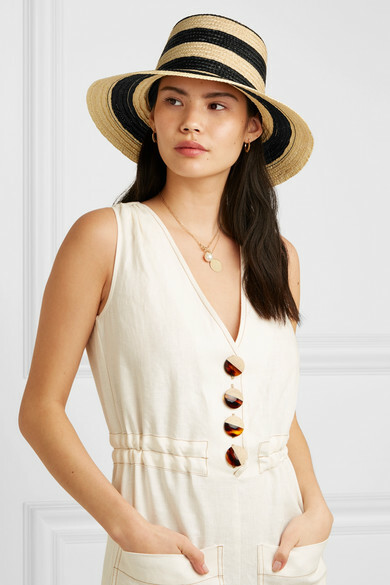 Eugenia Kim's 'Stevie' hat is designed with sun-soaked destinations in mind – the Spring '19 collection was inspired by David Hockney's paintings of Southern California. 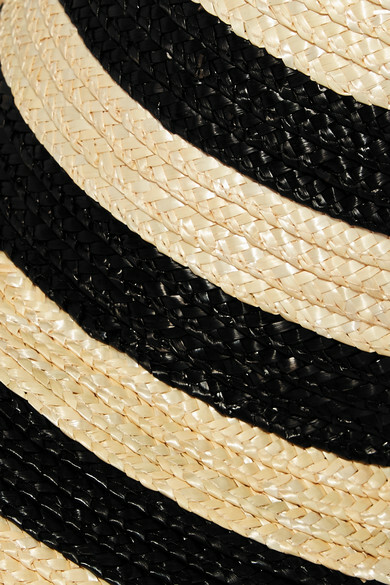 Made from monochrome striped straw, this lightweight style has a small brim to shade your face from the sun’s rays. Wear it poolside or while exploring new cities. Shown here with: Nicholas Coverup, Loren Stewart Necklace, Loren Stewart Necklace, Loren Stewart Earrings.